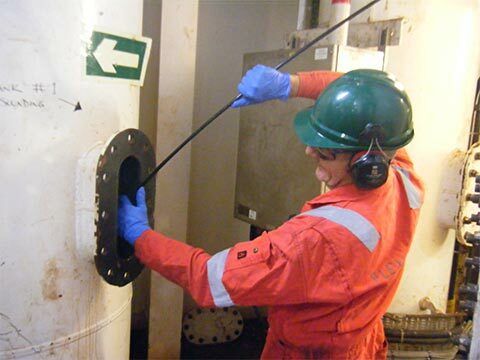 We offer a suite of endoscopes to carry out inspections of integrity breaches in inaccessible areas. Much of this work is carried out as part of a co-ordinated leak detection campaign which incorporates other Flexlife technologies, including nitrogen purging and dye injection. After adverse weather during the winter of 2016, a UK FSO operator suffered the loss of a Bend Stiffener on an oil export riser. Flexlife mobilised offshore to carry out riser annulus testing in conjunction with Close Visual Inspection using a compact ROV. The ROV was mobilised to the host vessel and deployed through the turret moonpool. There is an obvious benefit in carrying out these services in tandem, since any loss of outer sheath integrity highlighted by the riser annulus test can immediately be visually confirmed by the ROV. Fortunately, despite the loss of the Bend Stiffener, the riser outer sheath had not been compromised. 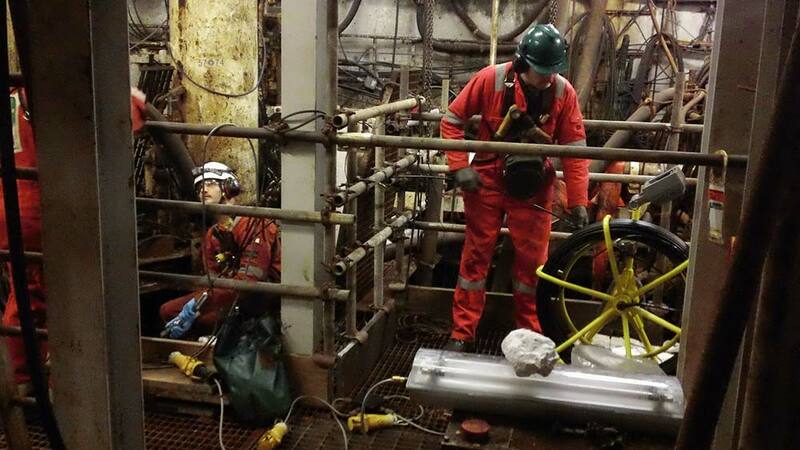 ROV inspections confirmed that the Bend Stiffener latching points were still in place on the turret chain table. We also assisted in the provision of a temporary abrasion resistant repair, which protected the riser outer sheath from damage whist a more permanent solution was designed and installed. A client informed Flexlife that a leak was apparent on a platform’s conductor cooling system. To complicate matters, the leak location was unknown to the client but was believed to be located below the pond-level inside one of the platform legs. Testing was needed to find the exact location and failure mode of the pipeworkand to allow a repair strategy to be put together. Our engineers conducted a testing regime, which included positive pressure testing of the internal bore. This testing allows the water column within the pipe to be pushed down to a location where the position of the leak was identified. A subsequent camera inspection below the pond-level was carried out, which captured the necessary footage of the damaged pipework. The location of the damage was found to be more than 100m below mean sea level. Throughout testing, Flexlife worked to the strict HSE requirements for leg-entry work.